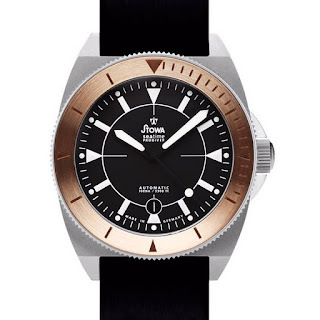 Stowa have a new series ProDiver coming soon! The new series is called the ProDiver Olymp which will come in three variants. You guessed it; the ProDiver Olymp series includes a choice of Bronze, Silver or Gold bezels. Here’s the Bronze one. I would imagine that the Silver variant will be with a Steel bezel and the Gold is perhaps IP-coated but you never know it could be 18K. MSRP for the Bronze will be 1490€. This is what they teased last SUMMER.